A surprising number of problems with gas stoves can be solved with a thorough cleaning. By taking apart the burner assembly and cleaning the pilot or igniter to see if it solves the problem prior to calling in a professional for stove repairs, Denver homeowners can save a bundle. Dirt and soot built up in and around the pilot or igniter are one of the most common causes for service calls regarding stove repair in Denver. The first step is to access the pilot or igniter. This usually requires lifting the hinged top of the stove. Once the pilot has been exposed, clean out any soot that may have built up using a suitable cleaning tool. It's important to exercise caution, as accidentally reaming the hole wider will render the burner useless and may require contacting a stove repair professional. Most of the time, though, this one quick and simple step solves the problem of burners on a gas range refusing to light. Unfortunately, this is only applicable to stoves that do not use a sealed burner. Stoves that use sealed burners typically also make use of an igniter instead of a pilot light. This igniter can cause similar problems if it is not cleaned periodically, though, and it's even easier to clean. Simply brush away any debris with an old toothbrush. Typically, there is a different pilot light that controls the oven. Knowing this helps to explain why the range often continues to function even when the oven will not produce heat. Follow the same steps to clean the oven pilot prior to calling a stove repair technician. It can save a good deal of time and money. Unfortunately, there are a wide variety of other more complicated issues that can occur with gas stoves that may require professional intervention. Units that do not utilize pilot burners utilize a combination of switches, igniter modules and igniter electrodes along with a central control board. Diagnosing these issues can be more complicated and the parts associated can be expensive. High voltages are also associated with spark modules so some caution also needs to be displayed in this regard. Unless Denver residents are confident in diagnosing these type of issues, repairs are sometimes best left to a Denver Appliance Repair Technician. 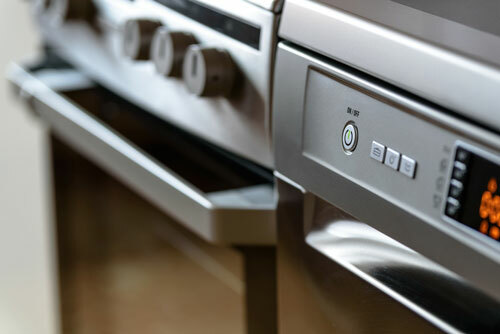 Homeowners who notice extremely noisy ovens or ranges, unexplained gas smells, issues with the convection fan, or temperature control issues will likely have to call a Denver stove repair specialist like Lee's Appliance Repair.